Twitter is one of the Biggest and most used social Networks in the world and which has helped people and companies promote their brand to millions of followers across the internet. Unlike Facebook, Twitter has no limit to the number of followers an individual can have which makes twitter a good social networks for various online activities. There are different ways to increase a Twitter followers without directly purchasing from sites that promise to give millions of followers money but those followers gradually vanishes with time. There was a time i bought 40k Twitter followers but all those followers only left after a while. 2. Add a large Twitter follow button on your website or blog. 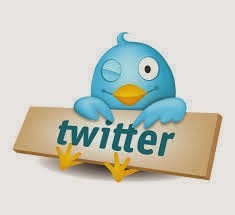 Note : A trusted way of increasing a Twitter follower is to follow back people who followed you. Thanks.